UK prime minister Theresa May’s government is engaged in high stakes negotiations over the terms of the UK’s withdrawal from the EU. There are some fundamental differences between the UK government and the EU’s negotiating task force, with time running out to find agreement before the next summit of EU leaders in late October. But even if a deal can be concluded with the EU, the prime minister must also get the approval of the UK parliament for whatever agreement her government reaches. It’s normal for the government to seek the support of parliament for the major decisions it wants to take, or international treaties it intends to ratify. There are, however, some important differences in relation to parliament’s role in the context of Brexit. 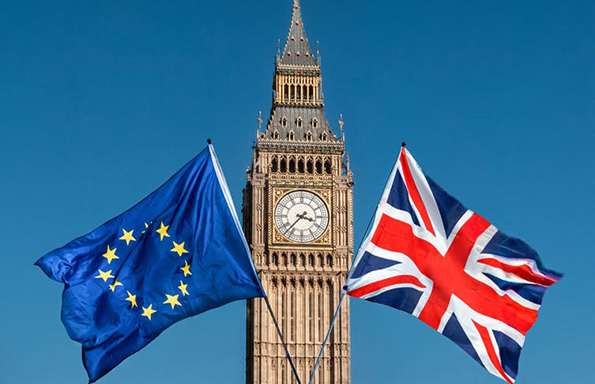 The EU (Withdrawal) Act 2018 formalised a process which sets out in advance the general character of what must be agreed, that parliament must vote to approve the deal, and when a vote will occur. This new formality in relation to the EU Withdrawal Agreement is significant because it gives parliament a fixed and influential role in the ratification process. Yet, after the result of the 2017 general election, the current government does not command a majority in parliament – it relies upon the support of Northern Ireland’s Democratic Unionist Party (DUP) to stay in power, and is particularly vulnerable to dissent from within the Conservative Party itself. With Labour now indicating that it will almost certainly vote against the government’s Brexit deal, there is a very real prospect that the House of Commons might vote to reject the government’s agreement. This would be crucial, for while the House of Lords must also have the opportunity to debate the deal, its approval is not legally required for the government to ratify the deal. If the government loses a vote in the House of Commons on a Withdrawal Agreement (and the framework for the future relationship between the UK and EU, which parliament must also approve), it will be prevented from ratifying the deal with the EU. This will put the UK on the path to exiting the EU without a deal, because without some further intervention, the UK’s exit date is set as March 29, 2019. If the government is defeated, there would likely be a move to stage a vote of no confidence in the government from the opposition. Or perhaps even the prime minister herself would seek to test the confidence of MPs in her government, as a way of trying to regain her authority. A successful no confidence vote in the government would not automatically trigger a general election – there would first be a 14-day period during which there could be attempts to form an alternative government, perhaps led by a new (or interim) prime minister. But the Conservative rebels who might defeat the government on a motion on the Withdrawal Agreement probably don’t want to see a general election that would give Labour the chance of power. It’s possible they could vote against the Brexit deal, but then in favour of the government retaining office in a no confidence vote, in the hope that this might see the UK sleepwalk towards a “no deal” exit from the EU. In such circumstances, the only other route to an early election is if it’s supported by a two thirds majority vote in the House of Commons. This would prompt an immediate election, and was the device May used to trigger the 2017 general election. But it would also require cross-party support, most likely from among Conservative and Labour MPs who oppose a “no deal” Brexit. Reaching any agreement between the government and opposition on this would be very difficult at such a tense time. Second referendum or delayed Brexit? Alternatively, if MPs reject the Withdrawal Agreement on offer, and the path to a general election is blocked, could the prime minister call a second referendum to try to break the political deadlock? There is no standing legal provision for a further referendum, so this would need new legislation, and probably the support of the government and the opposition. This would be politically challenging, given the government has consistently ruled out a further referendum and Labour is sceptical. It would also be immensely time-consuming: it took around seven months for parliament to pass the EU Referendum Act 2015, time which is simply not available now before March 2019. Unless, that is, the government obtains an extension to its EU exit negotiations. This might become necessary if a referendum was to be planned and carried out in anything other than an extremely rushed timeframe. It would also be essential if a general election is to be held, particularly if it resulted in a new government which sought to negotiate a different Brexit deal and future relationship with the EU. The difficulty is that an extension requires the unanimous agreement of all 27 remaining EU member states. And it’s also by no means clear that the UK would be willing to delay withdrawal, particularly as the government was so eager to write a fixed exit date into domestic law. A final possibility would be for the UK to subvert this process and unilaterally decide to withdraw its notice of exit under Article 50 of the EU treaty. A reference has recently been made from the Scottish courts to the Court of Justice of the European Union (CJEU), asking it to determine whether the UK has the power to end the Brexit process itself. The EU treaties do not offer an obvious answer to this question, and it’s possible that the CJEU may decide that ending the Brexit process must be done in the same way as starting it: only if authorised by the UK parliament. If parliament does reject an EU Withdrawal Agreement, there’s a possibility the UK could become constitutionally deadlocked by a combination of a weak government, rebelling backbenchers, an opposition seeking office, and a ticking clock. What we can say for sure is that if a Brexit deal is rejected in 2018, the process set out in UK law means the problem will be back in parliament shortly after January 21, 2019 at the latest. At that point, the options on the table may be essentially the same, but the pressure, and the need to avoid constitutional deadlock, will only be getting greater.